Our research interests are centered around developing numerical approaches for modeling the influences of heterogeneities in rock properties on multi-phase flows in subsurface formations. Geosystems engineering applications often involve limited data of diverse types, scales and sampling frequencies. Innovative techniques are needed for integrated assessment of flow performance that takes into account uncertainty in geologic descriptions, multi-scale reservoir heterogeneity, and interplay between flow processes at various scales. 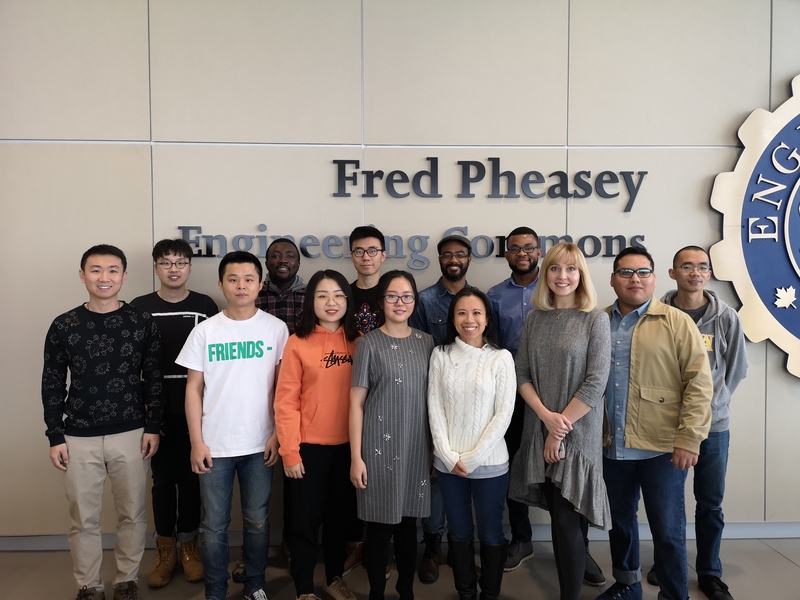 31/01/2019 - Congratulations to Jingwen (Phd) for successfully defending his thesis! 08/08/2018 - Welcome to 3 new members joining this fall: Elena (PhD), Jiahui (PhD), Seyide (MSc).... looks like we need to update our group picture soon! 15/02/2018 - Dr. Leung was selected as a "Great Supervisor"
08/01/2018 - Welcome to new member: Luis (MSc)! 05/12/2017 - Congratulations to Zhiwei (PhD) for successfully defending his thesis! 03/10/2017 - Welcome to new members: Tong (MSc), Yao (MSc), Chang (MSc), and Francis (PhD)! 30/09/2017 - Congratulations to Vikrant (PhD) and Juan Jose (MSc) for successfully defending their theses! 20/06/2017 - New website is launched! Copyright © 2017-2018 Juliana Leung. All rights reserved.